Many families trust daycare providers to watch their child or children for many hours of the work week. While childcare facilities are convenient for a lot of working parents, the decision to start daycare might not be easy. Trust is the basis of any childcare, whether it be a daycare facility or a babysitter, so it can be especially devastating to learn that your child was hurt while under someone else's care. Even worse, negligence might have played a part in the child's injury. The Coye Law Firm is a compassionate law firm with experienced attorneys that fight for benefits on behalf of injured children. If your child was injured while at daycare, you may have a claim against the employees, owner, or other responsible individuals. Day care facilities can be small, in-home operations or large buildings where many children interact, play, and learn on a daily basis. 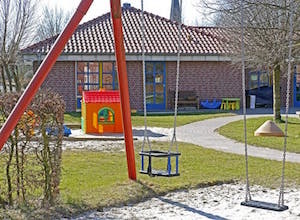 Many facilities attend to children based on age groups and provide activities. When there are enough members of a well-trained staff, day care lets children interact with others their own age while being looked after in a safe environment. A parent may be able to claim benefits to help pay for treatment of the child's injury by bringing a claim against those responsible. This can change based on the circumstances of the injury, so consulting a child injury lawyer may greatly help your case. The most important aspect of a personal injury claim is treatment. If your child has been injured and needs a medical professional, then don't delay in visiting a doctor. With appropriate documentation of medical and other treatment-related bills, you may be able to recover benefits to help offset these costs. In the case of a serious, lasting injury, the parents of a child injured at daycare may be able to claim benefits for pain and suffering. A long-term injury for a young child might seriously affect their ability to lead a normal life. If someone's negligent actions caused your child to become injured, you may be able to hold them responsible for the pain and suffering your child and your family endured. 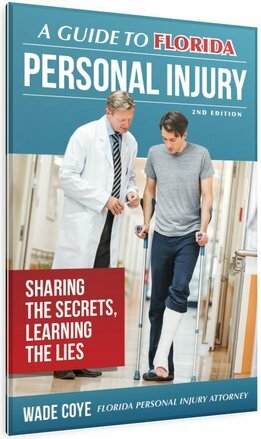 It can be difficult to learn of a family member's injury. The physical, financial, and emotional impact may be more than you expect. When the victim of a serious injury is a child, your concerns may be much greater. A child injury attorney at the Coye Law Firm wants to help you and your family work towards recovery by helping you get benefits. Call us today.